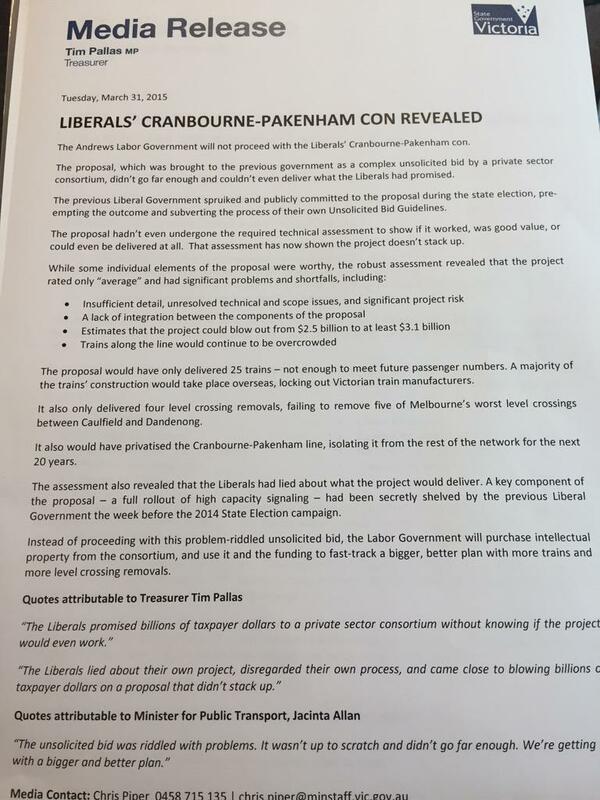 In March 2014 the Victorian Government announced a new project to boost capacity and improve reliability on the Cranbourne Pakenham rail corridor. The project will deliver a 30 per cent capacity boost and improve reliability on one of Melbourne's busiest and most crowded rail corridors. On 9 July 2014 the Victorian Government announced the start of community consultation on the first package of works. The package will include level crossing removals at Murrumbeena Road, Koornang Road, Clayton Road and Centre Road as well as newly rebuilt stations at Clayton, Murrumbeena and Carnegie. Community members are encouraged to fill out the feedback survey or come along to one of the information sessions. For information session times, the feedback survey, concept designs, fact sheets or to find out more about the consultation process, visit the community consultation page. new power substations to support the high capacity trains and signalling. The project is the first under the Victorian Government's new unsolicited proposals process. The process is designed to harness the innovation of the private sector and hasten the delivery of better infrastructure and services for Victorians at the best price. Local residents will have the opportunity to have a say on the concept drawings for the level crossing removals and new stations being delivered as part of the Cranbourne Pakenham Rail Corridor Project, Premier Denis Napthine said today. The Premier and Minister for Public Transport Terry Mulder were joined by local member Elizabeth Miller at the Murrumbeena level crossing to unveil the concept designs and mark the start of community consultation on the project. “The Cranbourne Pakenham Rail Project will deliver a 30 per cent boost to capacity on one of Melbourne’s busiest rail lines,” Dr Napthine said. “Importantly, it will also deliver relief to thousands of local residents who have to battle every day with the congestion caused by level crossings on their local roads. “At this level crossing on Murrumbeena Road, the boom gates are down for up to 45 minutes during the two hour morning peak. “Removing level crossings at Murrumbeena Road, Koornang Road, Clayton Road and Centre Road will make a huge difference. Eight bus routes cross the rail line at these level crossings every day; that is more than 6 million passengers annually whose journeys are affected by these level crossings. “People who are stuck in traffic waiting for boom gates every morning will be delighted that their frustrating daily wait will become a thing of the past. “The Victorian Coalition Government is committed to running more trains more often, getting our bus network moving, and increasing traffic flow in Melbourne’s south-east. Mr Mulder said stations at the site of the level crossing removals – at Clayton, Murrumbeena and Carnegie – will all be rebuilt as new, modern stations. “This project will deliver some fantastic outcomes for locals, including traders, residents and commuters. The new stations will be accessible to all, with ramps, lifts and stairs to the platforms,” Mr Mulder said. Mr Mulder encouraged people to view the early concept designs and talk to members of the project team at the community information sessions being held in July and August. When I was in Melbourne last, it was suggested to me that Clayton, Murrumbeena and Carnegie would similar to Springvale, that is lowering the rail line. Seems to be the case. Least disruptive overall to local properties. Will be a lot of track closures. What is with this never ending "trial" nonsense in Australia?! CBTC and ETCS level 2 are both robust and mature technologies with multiple vendors available, and thousands of km of track in service overseas. There is nothing to trial, beyond the usual "test running periods" in commissioning. I despair for this country. So insular and backward looking. 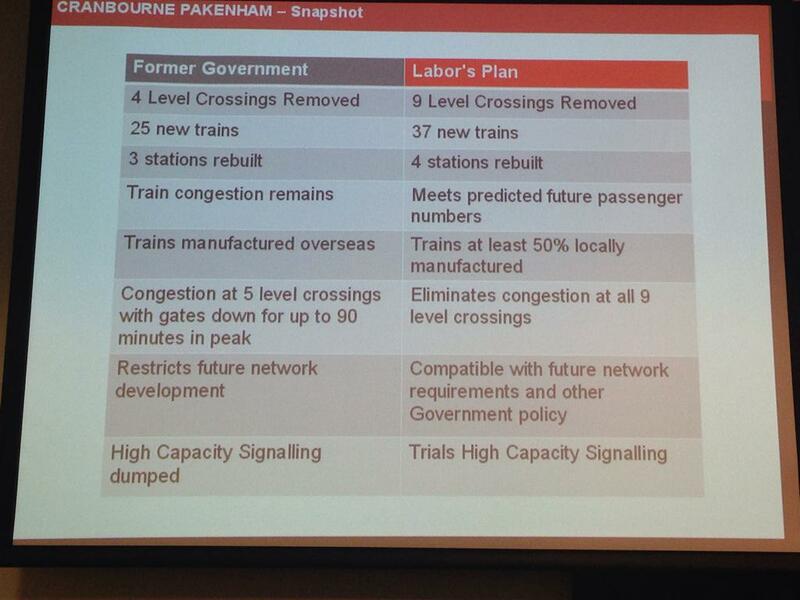 I have been suggesting grade sep at Carnegie & Murrumbeena since the late 1950s. I really doubt if ^ will happen anytime soon. Trial not needed for signalling, just do it. Here is the latest vid ..